Tearing down a device the size of an iPad nano is definitely not for the faint of heart (or shaky of hand), but none of that deters iFixit, who just tackled Apple's latest pint-sized player. We called it the best nano so far, but if the tiny iPod with newfound Nike+ functionality calls it quits, can you do something about it yourself, or will it need to be binned or go back to the repair depot? 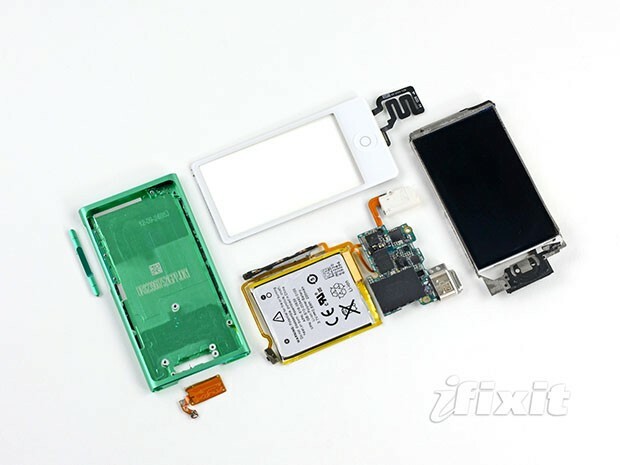 iFixit is torn on the device, saying that it's easy to take apart and replace the LCD or digitizer glass, but that the battery is glued solidly to the chassis, and other important parts like the Lightning connector are soldered together. That makes the replacement of those components nigh-on impossible, resulting in a repairability score of 5/10 for the device -- not that we'd be brave enough to crack it open ourselves. iPad nano hits iFixit's dissection slab, rated so-so on the repairability scale originally appeared on Engadget on Tue, 16 Oct 2012 08:55:00 EDT. Please see our terms for use of feeds.